Interval act: Yugoslav Changes – a film about tourism in the country. The Eurovision Song Contest 1990, the 35th in the series, was held in Zagreb, Yugoslavia on May 5 1990. The presenters were Helga Vlahović Brnobić and Oliver Mlakar. 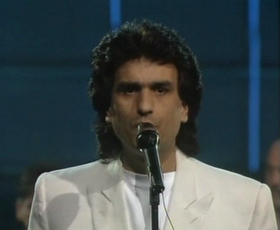 Toto Cutugno was the winner of this contest with the song Insieme: 1992 which was written by Toto himself. This was the second and most recent victory for Italy, the first one having been Non ho l'età, performed by Gigliola Cinquetti in 1964. Toto Cutugno sang about bringing the disparate nations of Europe together. The 1992 of the title refers to the year in which the European Union was scheduled to begin operation, thus bringing the hope of the lyric to fruition. Toto sang the song with a backing group of five singers from Slovenia, the group Pepel in Kri, who represented Yugoslavia in 1975. There was a slightly uncomfortable beginning to the rehearsal week when, offended by press comments concerning their ages (Helga Vlahović Brnobić being 45 at the time and Oliver Mlakar being 54), the two presenters quit the show. They were briefly replaced by Rene Medvešek and Dubravka Marković, who were much younger, but the misunderstandings were eventually allayed and Helga Vlahović Brnobić and Oliver Mlakar returned to the contest. At the start of the show there was a short film: Zagreb: City of Music. The lyrics of several entries celebrated the revolution and democratisation that had occurred in central and eastern Europe in the preceding months, focusing especially on the fall of the Berlin Wall in November 1989, such as in the Norwegian and Austrian entries. 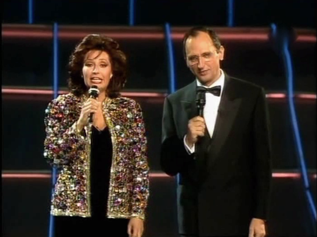 However, the winning song was an even more sweeping evocation of European unity, in anticipation of the completion of the European single market, due at the end of 1992. The Eurovision Song Contest 1990 was the first to implement an age rule. The European Broadcasting Union (EBU) were forced to bring in a restriction rule after criticism arose over the ages of two performers at 1989 contest, being just 11 and 12 years old. From 1990, no artist under the age of 16 on the day of the contest could perform on stage. This rule meant that the record for the youngest ever winner at Eurovision could never be broken, as Sandra Kim, who won for Belgium at the 1986 competition, was just 13 years old. A notorious mishap occurred at the start of the first song, when a noticeably long delay caused by problems with the backing track was followed by the Spanish singers Azúcar Moreno missing their cue. They walked off the stage in barely concealed annoyance and the audience was left in confusion for a moment, but the song was then restarted without any further problems. From a musicological perspective both Spain's Bandido and France's White and Black Blues can be said to be the first entries to signal a new trend at Eurovision, with both songs fusing contemporary dance music with ethnic influences, from flamenco and calypso respectively. By the 2000s this fusion of ethno/dance/pop had crossed over to mainstream success in the contest, with entries like Turkey's Everyway That I Can, Ukraine's Wild Dances, Greece's My Number One and Norway's Fairytale winning in 2003, 2004, 2005 and 2009. 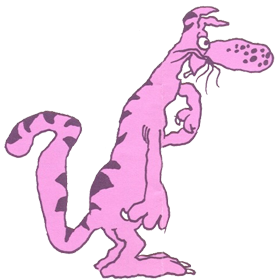 The 1990 contest was the first to feature an official mascot, called Eurocat, created by Joško Marušić. This mischievous purple cat popped up during the 'postcards' of each of the 22 entries, which also included travelogues of the country about to perform, in conjunction with the European Year of Tourism 1990. Malta had wished to return to the contest for the first time in 15 years, but Eurovision rules prevented them from returning due to a maximum of 22 entries allowed to compete. A national final was held in Malta, which was won by Maryrose Mallia with Our Little World of Yesterday.